President Emmerson Mnangagwa says his office is failing to cope with the huge number of invitations from the corporate world inviting him to come and open or commission business projects and entities that are heeding the new government's call to stand up and be counted in the economic revival of the country. He said this while addressing thousands at Mubaira Growth Point in Mashonaland West Province in Chief Mashayamombe's area. Chief Mashayampmbe was one of the heroes of the First Chimurenga and his remains are lying in the British Museum in London awaiting repatriation. Mnangagwa hailed the people of Mhondoro for being among the pioneers of Zimbabwe's liberation struggle, saying they have the burden of preserving and safeguarding the heritage of their ancestors, the lands. The president said the new dispensation has not rested from day one with new entities opening up and some reopening after being dormant for decades. This is as a result of the reengagement thrust that has excited many local and international investors. The president went on to explain the government's efforts to eradicate hunger in Zimbabwe through the Command Agriculture Programme and the timeous delivery of inputs under the presidential inputs scheme. 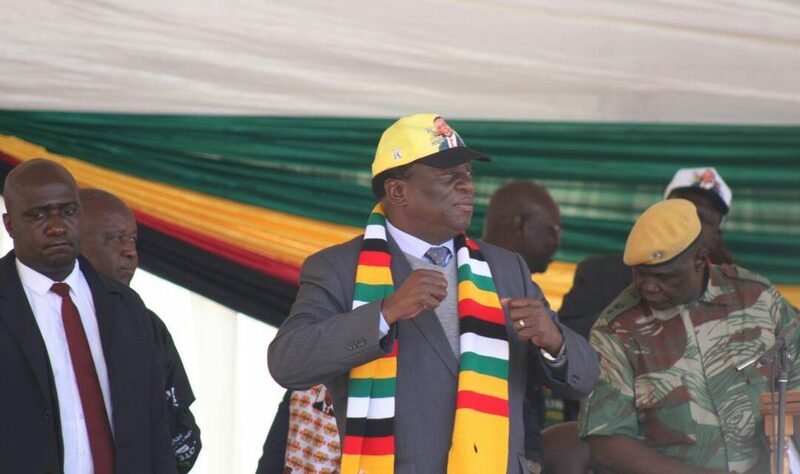 President Mnangagwa went on to introduce Zanu PF candidates in the area and implored them to be peaceful in the face of provocation by those who are threatening to disrupt the process despite having signed the peace pledge. He also warned those who disrespect the rule of law that it will not be tolerated. He concluded his address by highlighting some of the infrastructure development projects that the government is undertaking including the Beatrice – Mubaira road which is being upgraded after years of neglect. Ministers Winston Chitando, Ziyambi Ziyambi, Prisca Mupfumira, Dr Christopher Mutsvangwa, the President of the Senate, Edna Madzongwe and other senior government officials accompanied the President.